The Scottish Sub Aqua Club is a Company limited by guarantee in December 2006. We are governed by the Board of Directors who are elected by the Membership, and are responsible for the legal governance of the company. Each individual Branch is governed by its Branch Committee. Whilst the Board is the central administration body of ScotSAC, organisation and administration is carried out at branch level wherever possible. The National Diving Council (NDC) is an advisory body made up of a skilled group of experienced Members. NDC Members are elected annually, by the membership, and are responsible for assisting the National Diving Officer with the development of diving, safety and training activities. The NDC maintains the regulation and high standards of training throughout ScotSAC and provides information on all questions concerning diving and training. ​ScotSAC Headquarters are located at the sportscotland “House of Sport” at Caledonia House in Edinburgh, with 1 full time member of staff. ScotSAC publishes a bi-monthly magazine, Scottish Diver, as well as its own training manuals, logbooks, and other training materials and items. Joined Grampian Branch in 1991. Favourite diving is around the coasts of Scotland particularly on the Morayshire coast and the west coast. 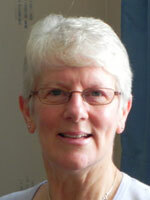 Served as Secretary of Grampian Branch since 2005 and the Board of Directors for past three years. Gordon has been diving since 1995. He is the BDO of one of ScotSAC's largest branches, a position he has held for over 9 years. 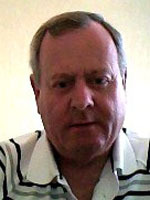 He is a ScotSAC Examiner & one of ScotSAC's Advanced Nitrox Instructors. He is a keen Scottish diver and can usually be seen at one of the dive sites most Sunday's. Sandy joined Musselburgh Sub Aqua Club after an intro to diving in the Red Sea. He's a BI and finds teaching divers really rewarding. Enjoys photography and will have a camera when no trainee in tow. Favourite dive sites mostly have wrecks - like the Sound of Mull and Scapa Flow. Branch expedition organiser for the last ten years. 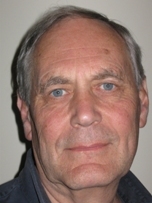 Rod has been an active diver for over twenty years and has continuously served on his branch committee throughout. He enjoys warm water dives when he can, but still believes the best dives are here in Scotland. 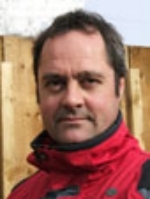 Graeme started diving in the mid 90's and has been an active BDO for many years. He is currently National Coach and responsible for leading the team of Regional Coaches. 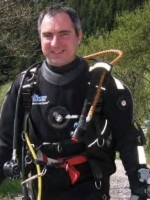 Graeme helped develop the ScotSAC Deep Diving course. 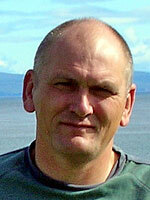 James joined ScotSAC in 1992 and is a Master Diver and Regional Instructor. He dives regularly in Scotland and abroad with a particular fondness for the wrecks of the south coast of France. Joined Hamilton Branch in late 1984 and still there. A very keen & active diver who triesto dive as often as possible. As a Regional Coach & Examiner with Scotsac he enjoys every aspect of training, and loves nothing better than to see somebody achieve something they previously thought impossible. If he can be of assistance to anyone please feel free to contact him. 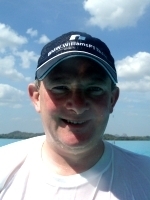 Hugh started learning to dive in 1995 with Peeblesshire branch and was BDO of the branch for several years. 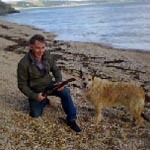 He dives mainly on East coast sites around St Abbs, Eyemouth and Dunbar, as well as West coast sites. He is a Regional Instructor and an Advanced Nitrox Instuctor and enjoys diving whether its wreck, scenic or whatever. He also enjoys instructing and helping others gain the skills to enjoy the underwater world. Dannielle is our part time member of staff responsible for all the office and financial systems. She is based at Headquarters and is generally the point of contact for everyone contacting us.